Virginia Kidd - ZineWiki - the history and culture of zines, independent media and the small press. Virginia Kidd (1921-2003) was a zine editor, writer and poet from Pennsylvania, U.S.A.
Virginia Kidd began publishing fanzines in the mid 1940s. Her first fanzine, Heeling Error, was dated March 1945, and was published under the byline Virginia K. Emden, as she was married to opera singer Jack Emden from 1943 to 1947. One of her more sustained efforts was the apazine Snarl. Issue one was published in April 1948 for the Vanguard Amateur Press Association. Subtitled "the magazine of praise and appraisal", Snarl was published in the U.S.A. under Virginia Kidd's married name of Virginia Blish, and was released during her marriage to James Blish (to whom she was married from 1947 until 1963). Eleven issues were released. Her other sustained zine was Quarterly, which ran 12 issues from March 1948 to March 1950. Kidd was one of the founding members of The Vanguard Amateur Press Association. Most of her publications were apazines for the organization. She also compiled indexes for VAPA from 1946 to 1949, and edited 5 issues of the official organ of VAPA, The Vanguard Amateur (issues #16-20, February to November 1948). In 1965, she opened the Virginia Kidd Literary Agency, becoming the first female literary agent in the field of Speculative Fiction, and represented Ursula LeGuin, Anne McCaffrey, Gene Wolfe, R.A. Lafferty, and Alan Dean Foster, among many others. Located in Milford, Pennsylvania, U.S.A. in a 150 year-old house named Arrowhead, the present day literary agents working there claim it is haunted by Virginia's ghost. In the late 1960s, Virginia Kidd returned to self-publishing with Kinesis, a poetry zine that ran 3 issues from February 1969 to December 1970. Virginia Kidd's contributions to fanzines span several decades. Her earliest contribution was an untitled poem appearing in the fourth issue of Charles D. Hornig's The Fantasy Fan in December 1933. She continued to contribute poetry to fanzines into the late 1970s, including Robert Frazier's Speculative Poetry Review. As a writer, Kidd contributed mostly poetry to other zines. The 1946 VAPA poll ranked her the third best poet and ranked her poem "Gouache" as the third best poem published in the year. In 1947 she was ranked the best overall poet publishing in VAPA. 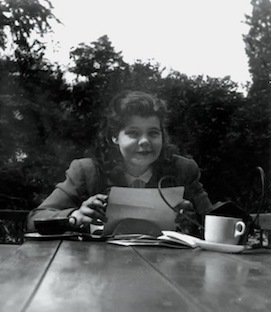 In 1948, members of The Fantasy Amateur Press Association awarded her a runner-up position for best poet, and in a 1951 FAPA poll she ranked as the fourth best poet. In 1952, Redd Boggs published a collection of her verse in his Gafia Poetry Leaflet series (titled Suburban Harvest). In the late 1970s, she became an early member of The Science Fiction Poetry Association. Her last publication was the poem "Argument", appearing in the fall 1998 issue of Weird Tales. In 2004, Steve Sneyd devoted an entire issue of his zine Data Dump to Kidd's work as a genre poet. Tired Sounds from Pelton Ave. This page was last modified on 2 July 2018, at 13:16. This page has been accessed 9,600 times.